Ah, the colorful hack ‘n slash returns, albeit in a different and arguably improved form. While the core game still channels Devil May Cry‘s Bloody Palace mode, souvenir circ. did crank it up to eleven for this re-release, throwing in some rather significant changes and additions. First of all, since I’m sure this question is going to pop up often over the next couple of days, let’s get this out of the way: those who already own Croixleur will get a free Steam/Desura/GamersGate/etc. key for Croixleur Sigma. Bundles? Yup, bundles too. Of all the new and interesting stuff, I’d say the addition of a co-op mode is the most interesting, second only to… wait for it… full Japanese voice-over! That said, I doubt the story has been expanded upon, meaning there’s still only about 20 minutes or so before it’s over. But that hardly matters, because this is the kind of game that’s meant to be played over and over, as players hone their skills, climbing those fancy leaderboards and doing just a bit better than before, in the arena. On top of that, Survival and Time Trial can now be played cooperatively (local only); do equip each participant with a controller though, as playing with a keyboard is hardly ideal. Not enough? Well, according to this post, they also overhauled the graphics, gave the game a brand new UI, added a Challenge Mode, rebalanced everything, and… added even more weapons and moves; because, remembering how to pull off those already available isn’t tricky enough, right? Seriously though, new moves (and weapons!) are more than welcome, as they’ll likely make combat even more fast-paced, frenetic and… fun! 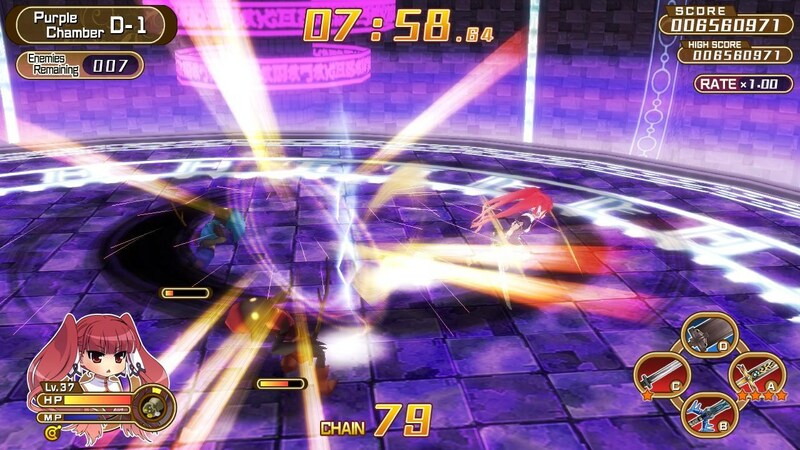 Croixleur Sigma is available for Windows from Steam, GamersGate, Desura and direct (via. Humble Widget), priced at $7.99 without any DRM. Demo? Right here.